We looked at the top 10 Salt Lamps and dug through the reviews from 86 of the most popular review sites including Best Reviews Guide, Chooserly, Home Esthetics, Smart Products, Dotbeasts, The Gear Hunt and more. The result is a ranking of the best Salt Lamps. Our experts reviewed the top 10 Salt Lamps and also dug through the reviews from 86 of the most popular review sites including Best Reviews Guide, Chooserly, Home Esthetics, Smart Products, Dotbeasts, The Gear Hunt and more. The result is a ranking of the best of the best Salt Lamps. Levoit's Elora salt lamp has a lot to brag about. Its soothing aesthetic, sturdy stainless steel base and high-quality dimmer switch make it an obvious choice for our Best Overall Salt Lamp. It's a bit pricier than other models we checked out, but the versatile dimmer controls and high-level design make it well worth the cash. DWYM Health & Wellness Experts plus BestReviews, Top Products, Complete Homemaker, Home Reviewster, Chooserly, Live Bold & Bloom and 5 more. Along with user reviews from Amazon.
" We love it's aesthetic,soothing glow, and high level design." "Isolated complaints that the lamp is smaller than it looks in the pictures. Check the dimensions before ordering"
Our Best Value pick comes with two salt lamps for the price of one. Both lamps have a lovely, soothing glow and dimmer switches. Though some users reported that the light bulbs can be difficult to change, this bargain find has garnered stellar reviews otherwise. DWYM Health & Wellness Experts plus Best Reviews Guide, The Gear Hunt, Adversify, Chooserly, Offers.com and 1 more. Along with user reviews from Amazon.
" This salt lamp comes with bulb and dimmer. Made of 100% natural salt." "Very difficult to change the light bulb." The HemingWeigh lamps have a delightful name and a calming glow. This pick comes with two lamps, so you can keep one at home and bring another to the office. Though this lamp doesn't have a built-in dimmer switch, it's a solid option overall. DWYM Health & Wellness Experts plus Best Reviews Guide, Chooserly, Home Esthetics, Smart Products. Along with user reviews from Amazon.
" Once this lamp is heated with the 15 watt bulb, you will find that it works as a purifier and can eliminate the positive ions in the air, similar to what an ionizer would do." "The Himalayan rock salt used in this lamp has a natural tendency to ‘sweat’ and may leave salt stains on your furniture"
There's a lot to love about this highly rated salt lamp, from its built-in dimmer switch to its cool pink glow. The handsome, termite-resistant wooden base is another selling point for anyone who lives in densely wooded areas. Take note that some reviewers reported that the lamp's base can be a bit wobbly. However, this lamp is still a gorgeous choice for any room in your home. DWYM Health & Wellness Experts plus Top Guide Pro, Best Reviews Guide, Home Reviewster, The Salt Mystery, C Wellness Natural, Smart Products and 1 more. Along with user reviews from Amazon and Walmart.
" It has ETL approved for safety and quality"
"Now, we will say that we had some issues with the dimmer switch, and it didn’t always dim the way we liked it to." We identified the majority of the salt lamps available to purchase. 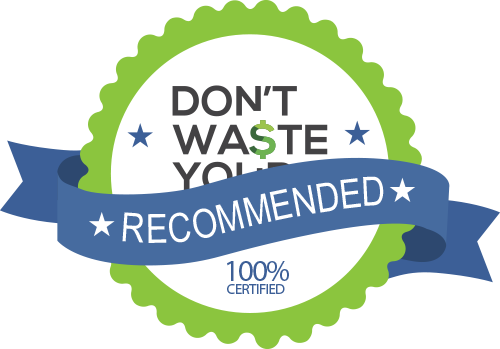 Reviews from our DWYM category experts and analysis of some of the most respected sources including: Best Reviews Guide, Chooserly, Home Esthetics, Smart Products, Dotbeasts. We also incorporate user reviews from the leading retailers including Amazon, Home Depot, Walmart. We love it's aesthetic,soothing glow, and high level design. It is warm and bright, but also features a high quality dimmer switch. You can also use touch controls for dimming. It comes in a gift box. You are going to enjoy the touch-controlled dimmable lighting that allows for safe and simple control over how bright the light is. It also comes with a safety certified UL-listed cord which is a big benefit because of the tendency of these cords to become burnt out. An attractive, well-constructed lamp crafted from genuine Pakistani salt crystals. A few users with difficulty with the dimmer switch. Removing and changing the lamp is a tedious job. Switch button does not work very well. This salt lamp comes with bulb and dimmer. Made of 100% natural salt. Very good quality, lovely soothing glow and has a dimmer switch. It also comes in a very well packaged. Flimsy switches and lacks charm. Bases can be cracked and visible mineral deposits in salt. Very difficult to change the light bulb. If you’ve stepped into a day spa or visited a very zen friend over the past year or two, you may have noticed a new decor trend: Himalayan salt lamps. The ubiquitous amber accessories have skyrocketed in popularity, thanks to their relaxing vibe and anecdotal health benefits. Himalayan salt lamps aren’t actually orange. They’re made by placing a light bulb inside chunks of pink Himalayan salt, which gets its shade from minerals present in the salt. The light from the bulb inside gives the pink salt chunks a soothing orange hue that lightens the mood in any room. “True” Himalayan salt lamps are crafted with salt sourced from mines in Pakistan. Several of our top picks have certified salt from Pakistan, including the Himalayan Glow 1002 Salt lamp and the Levoit Elora Salt Lamp. The lamps usually sit on striking wooden bases, like the HemingWeigh Natural Himalayan Salt Lamp. But some options, like the Levoit Elora Salt Lamp, use stainless steel bases. You can achieve your ideal level of relaxing light with a dimmer switch on lamps like the Himalayan Glow 1002 Salt Lamp. Most options, like the HemingWeigh Salt Lamp, are also available in multiple sizes. Some lamps come in packs of two, like the Crystal Allies Natural Salt Lamp, so you can add various sized lamps and a range of illumination to any corner of a room. Some people buy Himalayan salt lamps because of their purported health benefits. Himalayan salt may release negative ions into the air, which is the same process used by commercial purifiers to help you breathe cleaner air. While there are no scientifically backed studies affirming that Himalayan salt lamps can release enough ions to purify your air, their beautiful glow definitely brings a calming vibe into your home. “Pretty in pink” is more than just a fun ’80s popcorn flick — the phrase also applies to Himalayan salt. The flamingo-inspired mineral has surged in popularity over the last few years, and people are using it for everything from spicing up their favorite dishes to adding a relaxing air to rooms with salt lamps. The salt tastes great and looks wonderful, but why is it pink? Himalayan salt is gathered from salt mines just south of the Himalayan mountains in Pakistan. The formidable mountain range formed after the Indian and Eurasian tectonic plates beneath the Earth’s surface began colliding about 50 million years ago. The collision forced underground rocks upward, forming the Himalayan mountains we know today. Trace minerals from those seabed rocks contribute to Himalayan salt’s unique hue, particularly iron oxide from volcanic clay. If you’re a science buff, you’ll know that iron oxide is a fancy term for rust. That’s right: The same mineral you scrub off of your shower is responsible for Himalayan salt’s striking good looks. Pretty neat, huh? Before you buy your Himalayan salt lamp, consider where you’ll be using it. Do you want a lamp that emits a relaxing glow in your bedroom, or are you looking to create a more laid-back office environment? If you’re invested in a single salt lamp for your home, a hefty pick like the Himalayan Glow 1002 Salt Lamp is worth a look. It’s an impressive 8 to 11 pounds. It’s not exactly travel-friendly, but it will emit a strong amber hue. The HemingWeigh Natural Himalayan Salt Lamp weighs 6 to 7 pounds and comes in a pack of two, so you can bring one lightweight lamp to the office and keep another at home. If you want to use your salt lamp at night, you might nod off in its dreamy glow. An auto shut-off feature, like the one on the Levoit Elora Salt Lamp, can prevent burns or electrical issues. Do you have young children or rambunctious pets in your household? If you do, you’ll want to keep your salt lamp on a higher shelf so it doesn’t get knocked over and break. You’ll also want to keep the cord out of sight so that kids don’t trip over it and animals don’t treat it like a chew toy. Take a look at what kind of bulb your lamp requires before you buy it. This will save you some time and effort when you need to buy replacement bulbs. Many models, like the Crystal Allies Himalayan Salt Lamp and the Levoit Elora Salt Lamp, require 15-watt E12 bulbs. However, other lamps may use different styles of light bulbs. The Himalayan Glow 1002 Salt Lamp uses a B15 bulb, and it can accommodate up to 25 watts of power. Scope out the walls in your room to determine where your power outlets are located. This can help you figure out the proper cord length for your salt lamp. Most salt lamps, including the Crystal Allies Lamp, are not recommended for use with extension cords. That means you’ll either need to place your lamp very close to a power outlet, or you’ll need to buy one with a longer cord, like the Levoit Elora Salt Lamp’s 6.5-foot cord. For the Salt Lamp category, we analyzed 86 of the most popular reviews including reviews from Best Reviews Guide, Chooserly, Home Esthetics, Smart Products, Dotbeasts, The Gear Hunt and more. The result is a ranking of the best Salt Lamps.